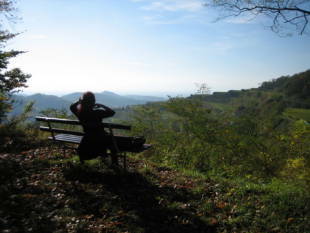 is a former volcano in the South of Baden, to the West of Freiburg. 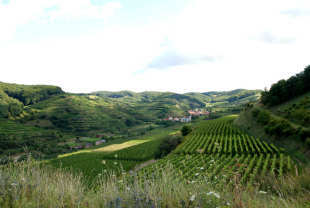 A well known wine region, it is also known as the Toscana of Germany because it has the most sunny days in a year and the warmest temperatures. 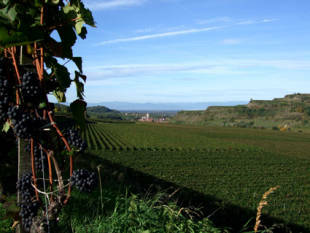 With is warm climate and fertile earth, the Kaiserstuhl is bountiful of floral and fauna and home to the production of excellent wines, fruits, and vegetables. The region is a paradise for hikers and bikers due to the many beautifully developed hiking and theme trails, the scenic variety of vineyards, forests and meadows, and the alternations between mountainous and flat land. 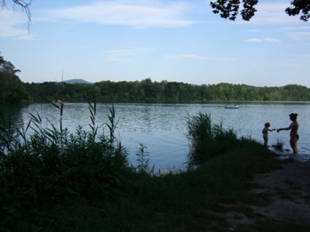 The closeness of the river Rhine and its jungle-like floodplains as well as the numerous bathing lakes further invite all kinds of water lovers. The region is also culturally interesting as a border region to France (5km) and Switzerland (55km) and due to the variety of theater, dance, and music offered in the nearby university town of Freiburg (20 km). The holiday flat is located in Oberrotweil, the largest village in the wine-growing municipality of Vogtsburg and a renown holiday destination. Public Transport: Bus stops to Freiburg and Breisach are just a few steps away. The train station is located in about 1.5 kilometers distance. 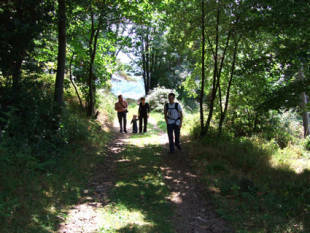 Hiking and swimming: Hiking trails lead past the house. A public open-air swimming pool is located in 200 meters distance. A beautiful bathing lake with a lawn for sunbathing is situated in a forest four kilometers away. Other local amenities: Grocery stores, restaurants, a rock-music bar, pharmacies, doctors, and banks are in close proximity.